Tag Archive | "broadband internet"
Gain Cotacachi hotel savings and more… up to $343 in only one week in Ecuador. I explain below. 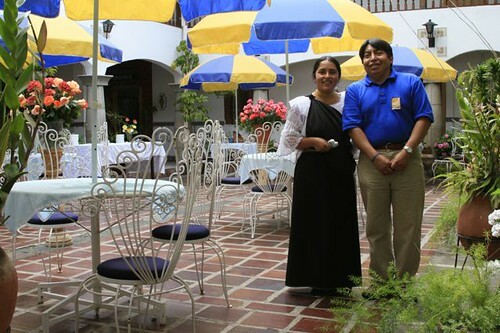 First let me introduce one of the nicest small Ecuador hotels in Ecuador. 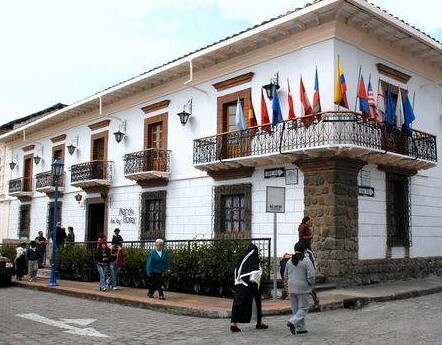 This small hotel (15 rooms) is in Cotacachi… Meson de las Flores. 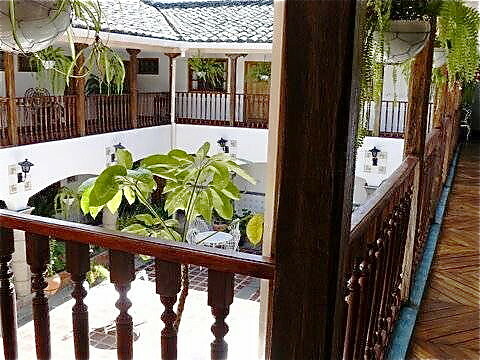 Ecuador Living subscribers are entitled to one free night the first time they visit Cotacachi and stay three nights or more at Meson de las Flores. There are many other hotels where you gain discounts as a subcriber… which I explain below. First more on Meson de las flores in Cotacachi. 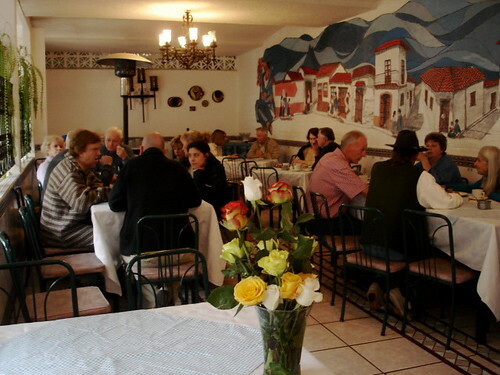 There are many charming reasons to stay at Meson de las Flores. The colonial architecture charms and welcomes you. Free calls to the USA, Canada and Europe. Plus a warm, welcoming, caring staff who really do want to look after you. 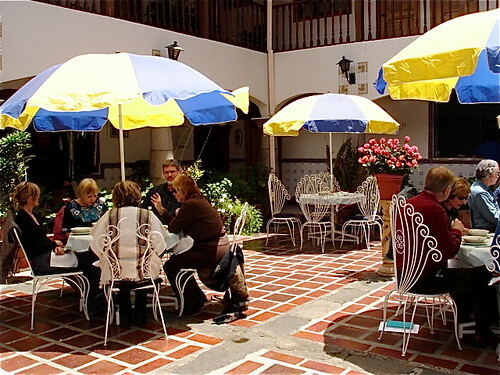 Room rates at Meson de las Flores in Cotacachi are only $59 a night plus 22% service and tax. Enjoy the beauty of Cotacachi. 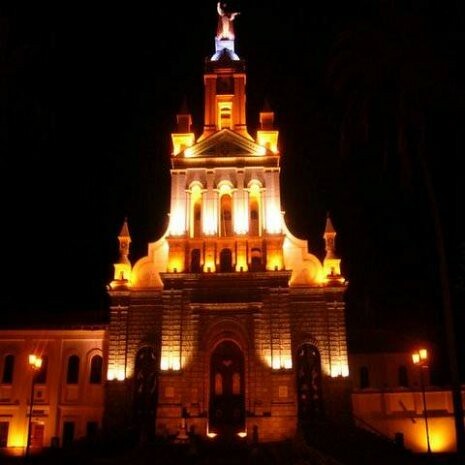 Here is the Cotacachi Cathedral next door to Meson de las Flores by night. 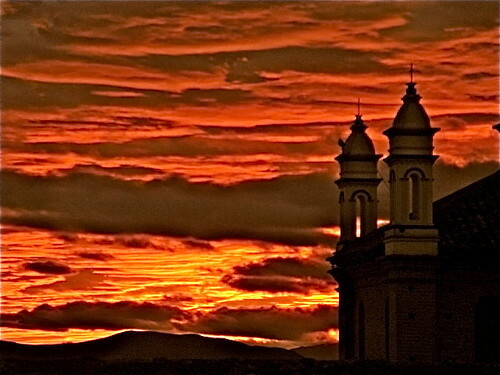 Save $343 or more at small Ecuador hotels as an Ecuador Living subscriber in just a week. To assist those interested in Ecuador, Ecuador Living has established a full time full support research and assistance team to help Ecuador Living subscribers in any way required. 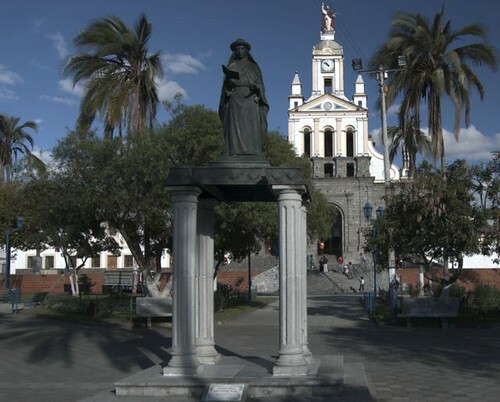 One benefit is hotel savings in Quito, Cotacachi, Cuenca and on the coast. 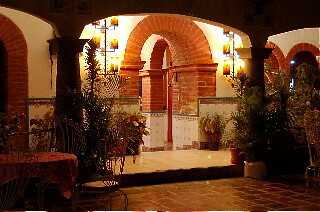 For example if you stay three days at Meson de las Flores in Cotacachi, one night is free ($79 savings). If you stay two nights at Palmazul, one night is free ($142) and two nights at Hotel Quito, you save $122 with the discount Ecuador Living subscribers get there. That’s a $343 saving compared to you Ecuador Living subscription of $119. You can subscribe to Ecuador Living here. All rooms are above the open air courtyard. A three room suite is avialable on the third floor. See it at Cotacachi Hotel Suite. Full seminar and AV facilities are available. Here are delagtes meeting at a seminar conducted in Cotacachi at Meson de las Flores and the ajoing Cotacachi Cultural Museum. Merri, I and the staff of Meson de las flores welcome you! Left to right: Gary, Meson mascot Ma, Maurico-translator – night clerk and guide, Eduardo – Maitre d , Franklin – Manager, Alberto – sous chef, Merri, Rosita – room care giver, Consuelo – food server, Rosita Molena- room care giver and Santiago – Chef. Here is an Ecuador tours update for Gary Scott’s 2009 Ecuador information tours, courses and seminars conducted at meson de las Flores and Palmazul spa. He is a view of the Cotacachi sunrise from our suite at hotel Meson de las Flores. We hope you’ll enjoy Ecuador’s beauty with us soon.